Only 1 LE Auto Access Seat model left in stock! Window Grid And Roof Mount Diversity Antenna, Wheels: 17 Alloy, Wheels w/Machined Accents, Vinyl Door Trim Insert, Variable Intermittent Wipers w/Heated Wiper Park, Valet Function, USB Accessory Connector, Urethane Gear Shift Knob, Trip Computer, Transmission: Electronic 8-Speed Automatic. This Toyota Sienna has a powerful Regular Unleaded V-6 3.5 L/211 engine powering this Automatic transmission. 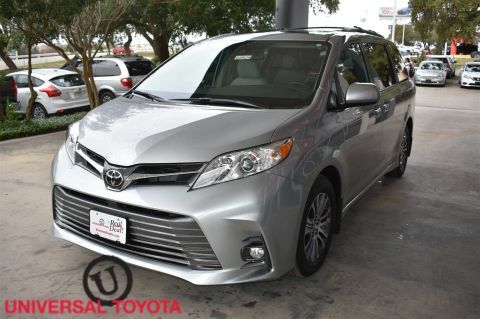 *This Toyota Sienna LE Auto Access Seat Has Everything You Want *Transmission w/Sequential Shift Control, Toyota Safety Sense P, Torsion Beam Rear Suspension w/Coil Springs, Tires: P235/60R17 AS, Tailgate/Rear Door Lock Included w/Power Door Locks, Strut Front Suspension w/Coil Springs, Streaming Audio, Steel Spare Wheel, Smart Device Integration, Single Stainless Steel Exhaust, Side Impact Beams, Roof Rails, Right Hand, Left Hand & Back Auto Easy Closer Door, Remote Releases -Inc: Mechanical Fuel, Remote Keyless Entry w/2 Door Curb/Courtesy, Illuminated Entry, Illuminated Ignition Switch and Panic Button, Rear HVAC w/Separate Controls, Rear Cupholder, Rear Child Safety Locks, Radio: Entune 3.0 Audio Plus -inc: Apple CarPlay, Amazon Alexa compatibility and 6 speakers, Radio w/Seek-Scan, MP3 Player, Clock, Speed Compensated Volume Control, Aux Audio Input Jack, Steering Wheel Controls, Voice Activation, Radio Data System and Entune 3.0 External Memory Control. 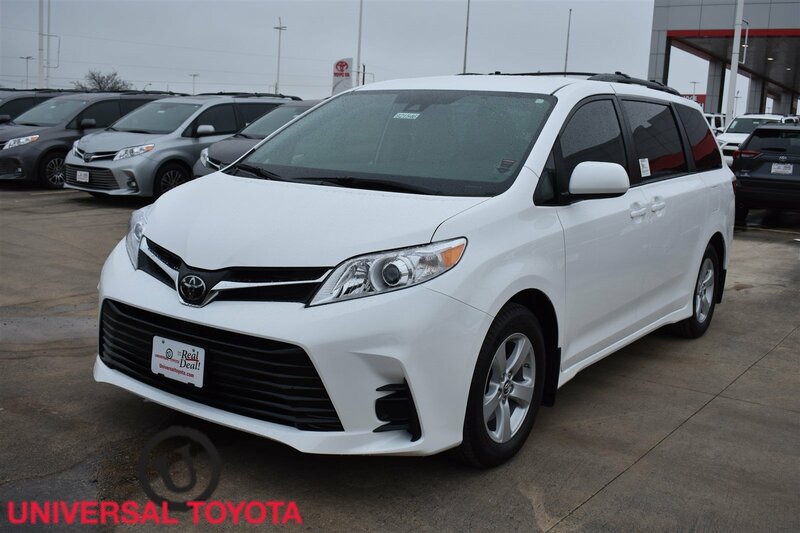 * Stop By Today *Come in for a quick visit at Red McCombs Universal Toyota, 12102 IH 35 North, San Antonio, TX 78233 to claim your Toyota Sienna!